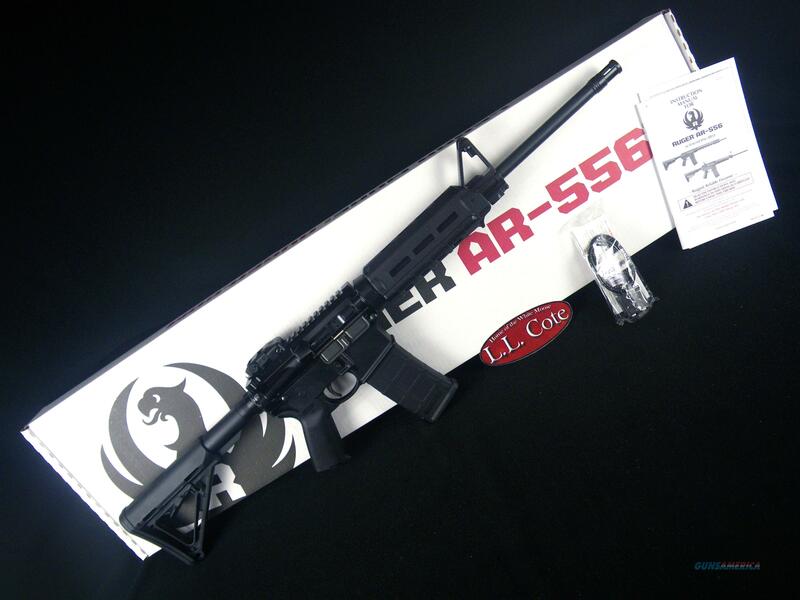 Description: You are bidding on a Ruger AR-556 in 5.56 Nato with a 16.1" barrel. Ruger® Rapid Deploy folding rear sight provides windage adjustability, and pairs with the elevation adjustable front sight for a solid, reliable aiming system. The rear sight can be folded out of the way to make room for optics, but can be instantly redeployed if needed. Six-position telescoping Magpul® MOE® Carbine buttstock and Mil-Spec buffer tube allow the rifle to be properly sized for different shooters, or varying levels of outerwear or defensive gear. Made from aerospace-grade 7075-T6 aluminum forging, the flattop upper receiver includes a forward assist, dust cover and brass deflector, and is Type III hard coat anodized for maximum durability. The 1:8" twist rate stabilizes bullets from 35 to 77 grains, and the 5.56 NATO chamber allows the use of both 5.56 NATO and .223 Rem. Ammunition. A Ruger® flash suppressor is provided, and the 1/2"-28 threaded barrel allows for standard muzzle accessories to be installed. Also includes: 30-round Magpul® PMAG® Magazine. Displayed images are stock photos. Any questions please feel free to ask (our phone number is in the additional information tab above).